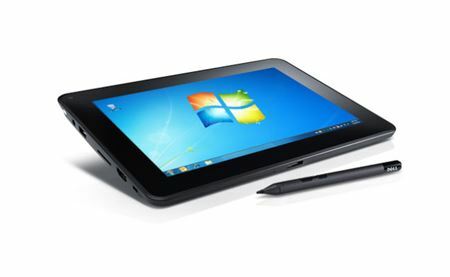 The Latitude ST features Windows®-enabled power in the body of a touch-screen slate, combining the mobility of a tablet with the manageability, security and compatibility you expect from Dell Latitude. Familiar features: Hit the ground running with an OS interface you already know. Produce and edit business documents on the go with the Latitude ST, powered by Intel® Atom™ processors and running Windows® 7. Convenient size: Starting at less than 2 pounds (894g)1, this multi-touch tablet can follow you anywhere, and with a screen size of 10.1" (270mm), it’s big enough for work applications.